a new discovery: broad bean snack! Sonya's Garden (in Tagaytay), first popularized the use of broad beans (patani in Filipino) in her salads. The crunchy, salty combination is simply a winner. I got hooked to this type of beans as much as i have constantly been craving for another meal at Sonya's. Thus, just imagine how happy I was when i chance upon a small stall at the St. James Bazaar in Alabang selling packs of...what else? 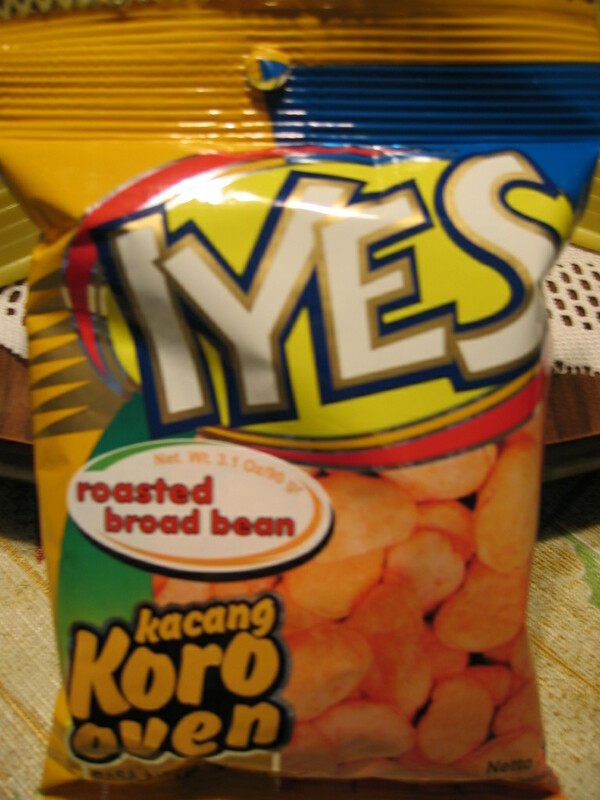 !...Indonesian roasted broad beans! Wow! Alabang is sooooooo far away!! yeah, alabang's too far away from us!